Do you have a mould or mildew problem in your home? Are you experiencing rising damp or weeping windows? Are you or your family experiencing health issues or allergies? Ecoair uses proven technology and state-of-the-art ventilation systems to permanently prevent and eradicate mould, reduce indoor air pollutants and increase energy efficiency in your home or workplace. Poor home ventilation is a catalyst for a variety of issues and illnesses, ranging from property damage right through to severe health complications. 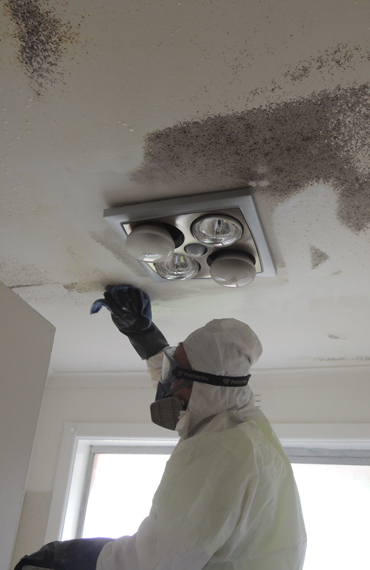 We have many clients who have utilised our services for mould eradication or sub floor ventilation and found that they are experiencing renewed health and comfort through better air quality. When people think about air quality, they generally only tend to think about the temperature, or perhaps they may consider ventilation to some extent, yet indoor air quality is compromised by many factors. Humidity, poor air circulation as well as insufficient outdoor air intake have a profound effect on indoor air quality. This is only compounded by modern building materials and techniques, climate conditions and common indoor air contaminants such as chemicals, dust, mould, bacteria, gas and vapours. We seek to educate and resolve the issue of air quality in homes and businesses so that the health and wellbeing of Australians is not compromised in favour of convenience and superficial design factors. Because many of us don’t think about the quality of air often, or we assume that outdoor air pollution is more of a threat, it is common for people only to seek solutions when experiencing extreme symptoms such as property damage or health issues. It’s never too late to resolve inadequate indoor air quality, and it’s even better if you’re in a position to prevent issues before they arise. We place great importance on clean air and overall wellbeing, and that’s why we have a range of solutions for all homes, commercial areas and everything in between. Our product has seen much success in moisture-laden central Europe, this ensures it is more than capable of handling the climate conditions in Australia. Our products are helpful in reducing energy loss due to air pressure drops, improving skin and breathing issues and alleviating cognition issues due to poor air quality. You’ll be astounded by the difference proper ventilation will have on your life and the health and wellness of those you care about most. It is our mission to improve comfort and health in every home and workplace. That’s why we use cutting-edge European technology and extensive industry expertise to deliver tailor made, effective and permanent solutions. Whatever problem is causing mould or excess moisture, having it taken care of to the highest of standards is our priority. We make sure the issue is solved permanently so you never have to deal with it again. We don’t just provide quality ventilation solutions, we educate, eradicate and give you peace of mind for a healthier, happier lifestyle. Our team has over 30 years of experience in providing clean and purified air in residential, commercial and industrial spaces. Over the last few decades we have undertaken extensive research, collecting information and testing and trialling a range of solutions from all around the world. This has led us to the discovery of advanced technology in Europe, where wet weather and climate conditions have a greater impact than other regions. Our primary goal is to provide every home, office and worksite with fresh, filtered high-performing energy Saving ventilation systems. We pride ourselves on delivering beyond expectations and providing the most up to date solutions. I just wanted to let you know that since having subfloor ventilation installed my kids have NOT been sick You are not going to stop the common cold, but the baby doesn’t get croup anymore. Ecoair Systems were very quick and helpful. It only took a few hours and they were able to fix it. I’m quite satisfied with what they did. Ecoair Systems provided a competitive quote and their solution had already been tested in another apartment in the complex. Very happy with their work.